Air Italy has announced that thanks to popular demand, the Miami-Milan Malpensa route launched on June 8, 2018, is now on sale for the entire winter season. The New York – Milan route is also on sale for the winter season and is available five times per week on Sunday, Monday, Wednesday, Thursday and Friday. For Miami, the frequencies will remain four times per week, on Mondays, Fridays, Saturdays and Sundays, and the service will be operated by an Airbus A330-200, with a configuration of 24 seats in Business Class and 228 seats in Economy Class. In addition, for the upcoming winter season, Air Italy is also providing ideal connections and great fares form New York to India’s Mumbai and Delhi via Malpensa. 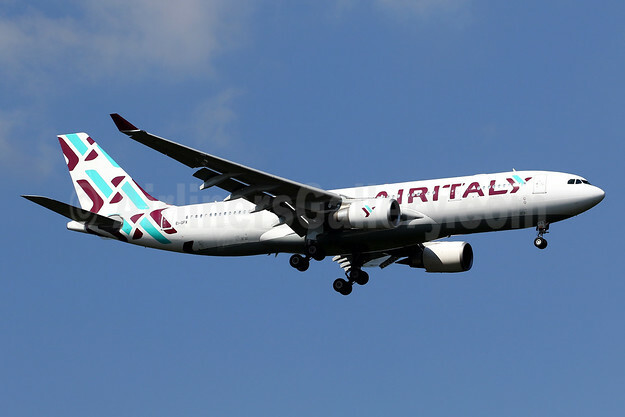 Top Copyright Photo (all others by Air Italy): Air Italy (3rd) Airbus A330-202 EI-GFX (msn 571) MXP (Javier Rodriguez). Image: 942617. This entry was posted in Air Italy (3rd) and tagged Air Italy on August 9, 2018 by Bruce Drum.